Babyganics, the leading manufacturer of naturally safe and effective products for a “baby-safe world,” would like to introduce you to their new Mineral-Based Sunscreen lotion (50+SPF). Providing broad spectrum UVA/UVB protection that glides on smooth for effortless application, this new offering just in time for summer has a non-chemical, non-whitening formula that absorbs easily to skin, perfect for high exposure areas and targeted protection. Although Babyganics has no PABA, Parabens, nano-particles, Phthalates or fragrances, it is just as effective as a traditional sunscreen. Pediatrician and dermatologist tested, their mineral-based formula is non-allergenic, tear free, and is the only sunscreen with Babyganics’ exclusive NeoNourish Seed Oil Blend that nurtures and supports baby’s skin. Let’s not forget that this product is also water resistant for up to 80 minutes! Toss this lotion in your beach bag and let the fun in the sun begin! 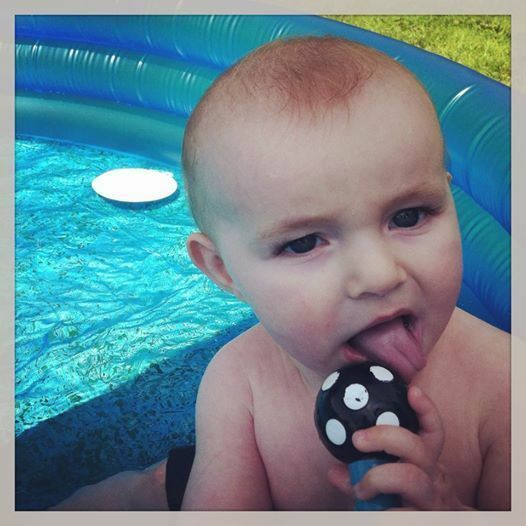 My Experience: I have an adorable 9-month old baby nephew named Wesley who is definitely a water baby! He loves to splash in his inflatable pool. II was sent a bottle of Babyganics Mineral-Based Sunscreen Lotion to review and gave it to Wesley's Mommy. Wesley's Mommy loves Babyganics Mineral-Based Sunscreen Lotion because it absorbs quickly and does not leave a white film on the baby's skin. His Mommy is please that it has no dangerous chemicals and smells very nice! Baby Wesley's skin stayed nice and protected after his day in the sun! 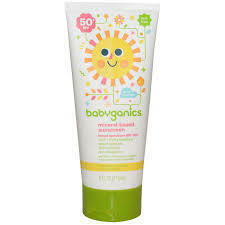 Babyganic’s Mineral-Based Sunscreen lotion (50+SPF) retails for $9.99 and is available for purchase at Babies ‘R’ Us, Buy Buy Baby, Target, and online at Diapers.com. I received a sample of this product to review and to keep. All opinions are my own. There are all kinds of germs going around this winter and school, unfortunately is the perfect place to catch those dreaded illnesses that can leave the whole family home in bed. While many rang in the New Year with friends and family, Mother Nature rang in the New Year with some of the coldest temperatures we have seen in years. 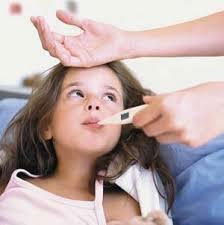 January has unofficially marked the start of a cold and flu season that is only expected to get worse. For most parents, this is a cause for concern as Swine and Avian flu have been running rampant the last few years, almost reaching pandemic status in this country. Luckily, there are some basic precautions that we should all be taking to help prevent this dreaded virus from afflicting ourselves, our families and most importantly our children this year. One of the easiest ways to prevent getting sick is to keep your hands clean and germ-free. Constant washing and use of an alcohol-based hand sanitizer is not only a hassle, but it can also unnecessarily dry out your hands. BabyGanics ‘The Germinator’ Alcohol Free Foaming Hand Sanitizer effectively kills 99.9% of germs without the harsh side effects of alcohol and other synthetic chemicals. It instead utilizes benzalkonium chloride, a naturally safe and effective substance which makes The Germinator not only fast acting, but allows for use without water or towels, is non-flammable, will not stain your clothing, and definitely won’t dry out your skin. In fact, this non-toxic formula actually moisturizes as it cleans and is of course the best choice for even the tiniest fingers and hands. My Experience: I have been very concerned about my seven year-old son, Braxton getting the flu, especially this school year since these horrid illnesses have been going around. Many of his classmates have been sick. The Germinator is really wonderful because unlike most hand sanitizers that we have tried in the past, it is very moisturizing and does not leave our hands feeling dry and 'icky.' It absorbs right away, too without leaving a sticky or goopy feel. Braxton has been using it faithfully without complaint. I make him use it as soon as he gets in the door from school, and throughout the day to keep him safe and healthy. 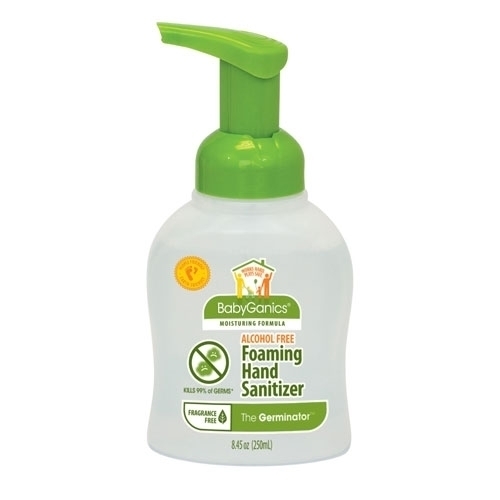 BabyGanics ‘The Germinator’ Alcohol Free Foaming Hand Sanitizer is available in a fresh tangerine scent as well as a fragrance free variety and retails for $6.99 (250ml). 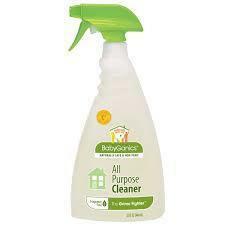 This product can be purchased online at www.babyganics.com and nationwide at all Babies R Us, Bed Bath & Beyond and Buy Buy Baby locations. You know it’s time to clean the house when your little one's bare feet get dirtier walking across your kitchen floor than they would outside. And then my child (who is six years old) climbs up on the white counter top and stands there to look in the cupboard for snacks and there are black footprints on the counter tops. Yuck!!!! 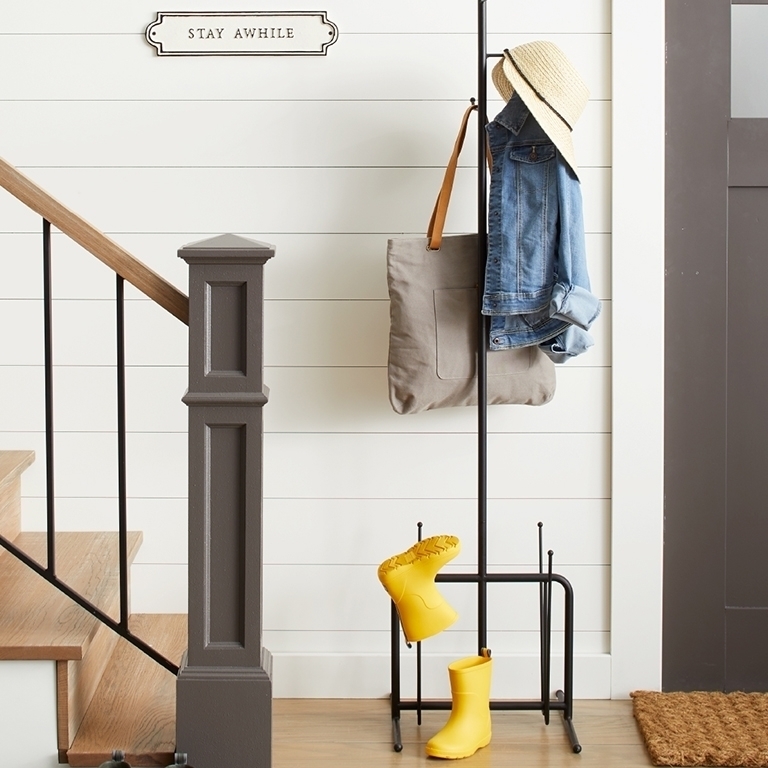 The surfaces in our homes can get very dirty, very quickly – especially with kids who are constantly making messes. But, with a child coming in contact with all these surfaces in your home, you don’t want to use a harsh household cleaner with chemicals that can hurt their eyes, nose, skin and more. Luckily, BabyGanics, one of the United States’ leading manufacturers of baby-safe products, has solved this issue with a naturally safe and effective all-purpose cleaning solution called The Grime Fighter All Purpose Cleaner. The Grime Fighter All Purpose Cleaner is a multi-surface cleaner that gets the job done just as well as the ones that use harsh bleaches and chemicals. You can rest assured that your family won’t be exposed to harmful ingredients, thanks to The Grime Fighter’s specially formulated, plant-based cleaning agents; as well as the fact that it contains no parabens, sulfates, phthalates or toxins. My Experience: I received a sample of The Grime Fighter All Purpose Cleaner to review. First of all, my sweet 6 year-old boy makes huge messes. I am always cleaning up after him. It seems that everything he touches gets messy! You can definitely tell where Braxton has been in our home. From the dirty countertops, to the table after he eats his meals, there is always something to clean up. I have always been worried about the harmful chemicals in cleaning products. Especially when I clean areas in the kitchen that come in contact with food. Those chemicals in cleaning products could get into my child's food! And surfaces that he touches.......harsh chemicals could harm his delicate skin. Thankfully The Grime Fighter All Purpose Cleaner works just as effectively as any other cleaner I have ever tried. I tested it out on my counter tops, my stove top, my kitchen table and even my wood floors. It gets rid of grime and stuck on food, as well as dirty little hand prints and foot prints. It is wonderful because it really gets the job done. Braxton even enjoys helping me clean up. With my previous household cleansers I always told him no, but he can safely use The Grime Fighter because of the all natural ingredients . 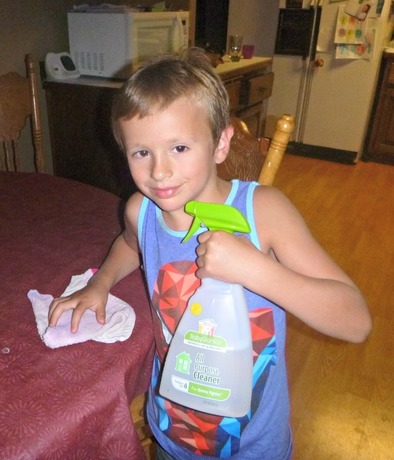 Braxton loves to help Mommy clean with BabyGanics Grime Fighter All Purpose Cleaner! The Grime Fighter All Purpose Cleaner is available in a 32oz spray bottle, which retails for $6.99, and can be purchased at Amazon.com, Buy Buy Baby, Babies R Us, Diapers.com, Drugstore.com and Vine.com. When it comes to shopping for diapers, it seems nearly impossible to have it all. Eco-friendly diapers that also provide comfort? Those cost a small fortune. How about diapers that are both affordable and safe for the environment? You might as well call them stiff and scratchy. 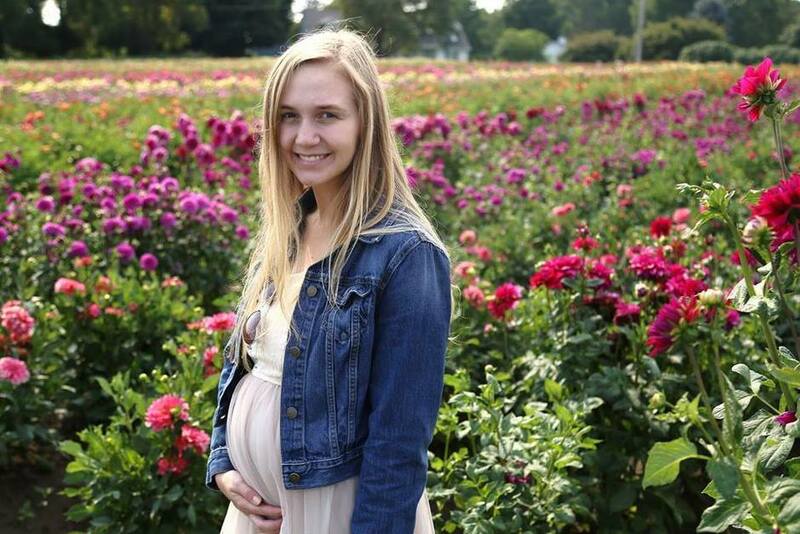 And what about diapers that are as comfortable for your baby as they are easy on your wallet? Not exactly good for Mother Earth. Now, thanks to BabyGanics, you really can have it all. The launch of Rear Gear Ultra Absorbent Diapers offers consumers the first diapers to truly be baby-friendly, parent-friendly and eco-friendly! 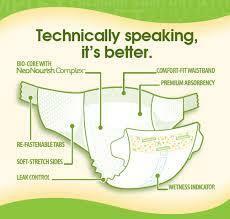 Rear Gear Ultra Absorbent Diapers encompass all of the qualities that shoppers look for in a disposable diaper. Made with an exclusive blend of superior seed oils known as the NeoNourish ComplexTM, babies’ skin will be nourished and moisturized by a diaper that provides a premium comfort and fit as well as effective leak control. Pair this with the fact that the diapers are made from bio-based materials, and contain no harsh chemicals, chlorine, latex, petroleum-based lotions or fragrance; and you are left with a product that offers more than any other diaper on the market today. Rear Gear Ultra Absorbent Diapers are available exclusively at all Babies R Us locations, with prices starting at $11.99. I recieved a package of Rear Gear Ultra Absorbent Diapers to review. I do not have a baby of my own in diapers (my baby is six years old) and so I wanted to give them to a friend of mine who just gave birth to a baby girl. My friend, Kelly was completely thrilled with these diapers. 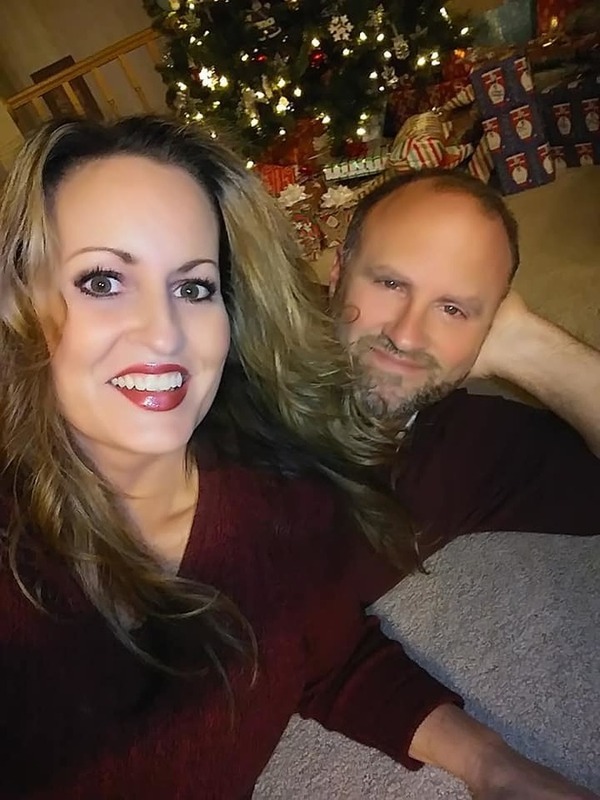 She says she loves how they do not leak at all, unlike some of the popular leading name brand diapers she has tried, especially with a newborn! Kelly says these diapers fit her baby girl perfectly, and they are very soft. 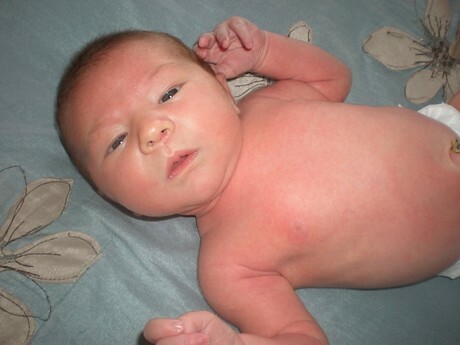 Her baby's skin has stayed rash free. She loves them and since she is an environmentally friendly Green mom, she will definitely be buying them again since they are free of toxins and chemicals. Winter is out and the summer is on its way! Before you put out the sliced up juicy watermelon, blow up kiddie pools, and stock the freezer with ice pops… consider the type of sunscreen you will be using on your little one this year. With an increasing amount of reports regarding sunscreens that contain harmful chemicals, BabyGanics has ensured that they will not only provide you will reliable, affordable and effective sun care products this summer; but those that are safe, harmless and non-toxic for every member of your family! 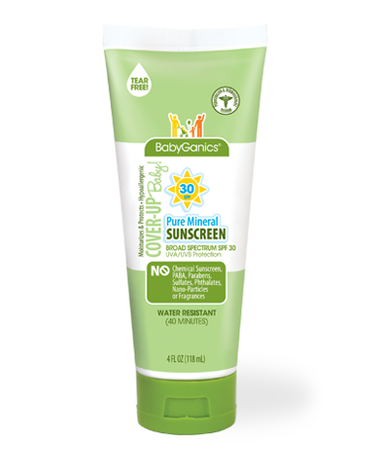 BabyGanics, one of the nation’s leading manufacturers in baby-safe and environmentally-safe products, is proud to protect you and your little one with their Cover Up Baby Pure Mineral Moisturizing Sunscreen Lotion 30+SPF. This lotion not only protects your children against the harsh broad spectrum UVA/UVB rays of summertime but also moisturizes tender baby skin. Pediatrician and Dermatologist tested and approved, this mineral based lotion retains its waterproof and SPF qualities for up to 80 minutes – even after all the fun water sports! With easy application, this lotion is the best in targeting all of the key areas of protection. My Experience: I got the chance to put Cover Up Baby Pure Mineral Moisturizing Sunscreen Lotion to the test this weekend when we took my little boy, Braxton to the Zoo. Of course he is not a baby, but he still has sensitive baby skin that can truly be damaged by the sun's rays. 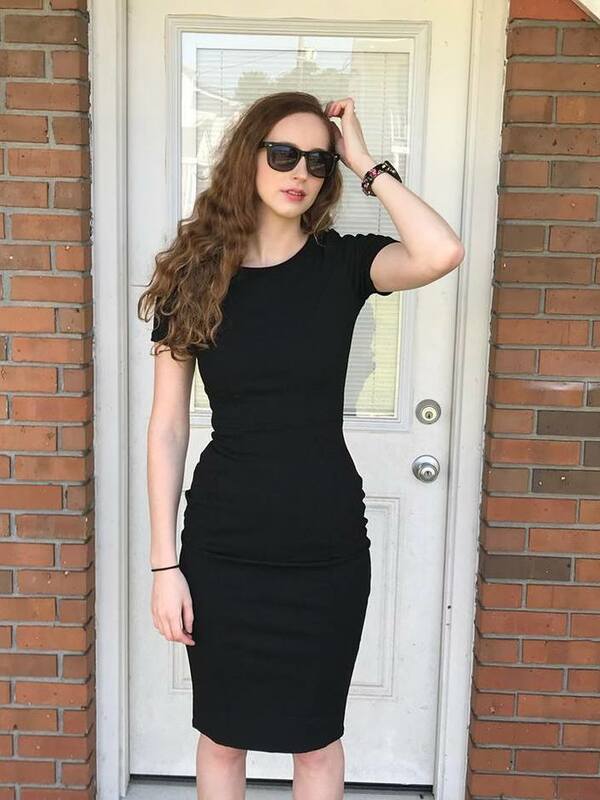 It was a very warm day and the sun was shining. Before we headed out, I slathered this wonderful sunscreen all over my little boy. I applied it to his arms, legs, face, neck and ears. It was easy to apply and Braxton did not complain. It absorbed quickly and left no visible residue. We stayed out in the sun for about for hours of fun. Cover Up Baby Pure Mineral Moisturizing Sunscreen Lotion is available in a 4oz. tube retailing for $10.99 and can be purchased at Babies R Us, Buy Buy Baby, Babiesrus.com and Diapers.com. Having kids means that you are going to be facing some 'sticky situations.' It seems that there is always something messy to be cleaned up, whether it be food, snot or other gross things kids get into, you are always going to need to have something on hand to clean them up with. My 'baby' is six years old, but he still manages to get into his fair share of messes! I always keep a stash of baby wipes on hand in the car, in my purse and in our home for quick and convenient clean ups. I was thrilled to have discovered BabyGanics Fine & Handy, Hand and Face Wipes. BabyGanics, one of the United States’ leading manufacturers of baby-safe products, has the safe and eco-friendly alternative to leading baby wipe brands. BabyGanics’ Fine & Handy Hand and Face Wipes are a wonderful solution when the time comes to clean those sticky hands and faces. Pediatrician and dermatologist tested, their fragrance-free formula not only cleans your child/baby’s sensitive skin, but moisturizes and hydrates with special skin conditioners found in each of these unique wipes. Fine & Handy wipes are specially formulated with natural plant-based ingredients and are non-toxic, as well as gluten free. It makes me feel good to know that by using these wipes, I am not exposing my son to harmful chemicals. Unlike other leading brands in the industry, BabyGanics ensures that none of their wipes are made with chlorine, bleach, parabens, sulfates, or phthalates. Ideal for your on-the-go needs, this conveniently packaged product contains 30 wipes and can easily be tossed in your purse, diaper bag, stroller, or car and thrown away after use without guilt due to its biodegradable properties! BabyGanics’ Fine & Handy Hand and Face Wipes retail for $4.99 and can be purchased at Babies R Us, Buy Buy Baby, Amazon.com, Diapers.com and Vine.com. Disclosure: I received a sample of this product to review and to keep. The opinions are my own.